Animal Wildlife | Dusky Dolphin | The dusky dolphin is a medium sized dolphin found in coastal waters in the Southern Hemisphere. 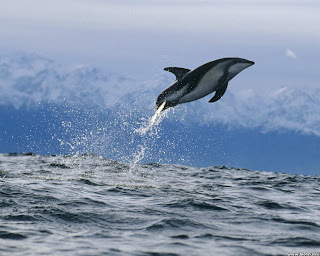 The dusky dolphin is most well known for its striped like appearance and its incredibly acrobatic nature. 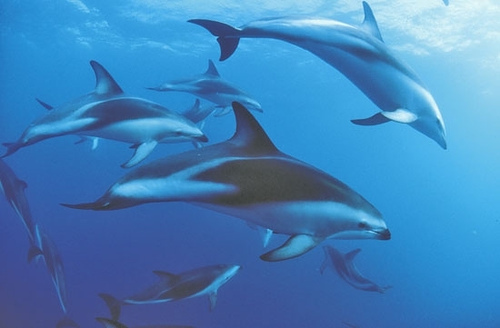 The dusky dolphin is found in large groups known as pods generally in the coastal waters of Peru and Australia. Due to the dusky dolphins frequent acrobatic displays and the fact they are often seen in large groups, makes the dusky dolphin a favourite for watchers and tourists alike. Sadly the dusky dolphin population numbers are decreasing mainly due to the accidental catching of the dusky dolphins in fishing nets. 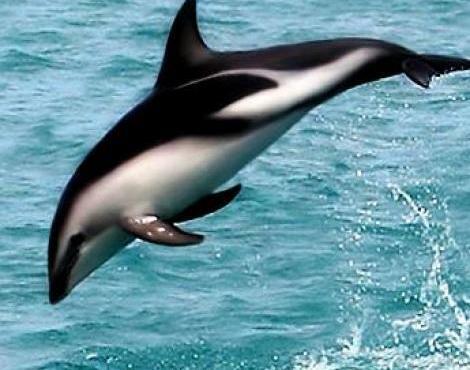 The dusky dolphin is also purposefully hunted for its meat in South America. 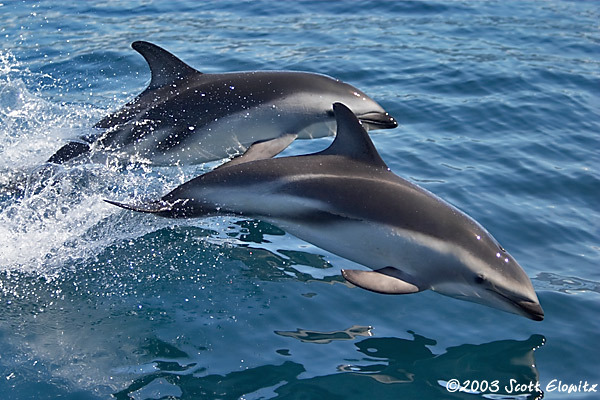 Although the dusky dolphin is not believed to be an animal that regularly migrates, dusky dolphins have been known to travel enormous distances across the oceans. The dusky dolphins are thought to do this when the dusky dolphins are searching for food or have possibly been lost from their original dusky dolphin pod and the dusky dolphin is busily trying to find it again. 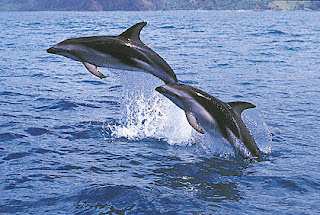 Dusky dolphins are the smallest of all the dolphin species with the average adult dusky dolphin weighing a maximum of around 150kg. The dusky dolphin tends to feed mainly on small fish, such as anchovies and cephalopods such as squid and cuttlefish. Dusky dolphins are most commonly seen off the coast of South Africa, South America and New Zealand where special tours are often available for those travelers wanting to see the dynamic acrobatics of the dusky dolphins for themselves. 0 Response to "Dusky Dolphin"